How to become a builder in Canada and Quebec? To build any type of buildings in Quebec, whether you are business people or an individual who wants to build his own house as a self-builder, it is necessary to hold an RBQ construction license, whether it is as an entrepreneur in construction or as an owner self-builder. This license is granted by a Quebec Government agency called the Régie du Bâtiment du Québec or RBQ, which establishes the requirements to follow. If you are an aspiring entrepreneur wishing to create or purchase a construction business it is very important to address the RBQ to know about the steps to follow on how to become a builder in Quebec. An RBQ license for a project, and not for a company: it is possible to obtain an RBQ license to carry out a specific project. Once the project is completed, the license expires. These explanations on how to become a building contractor are very simplified and to respond better to them it is advisable to go directly to the Régie du Bâtiment du Québec. 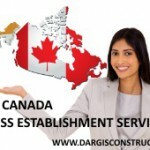 While you are waiting to figure out how to become a builder in Quebec, Construction Daniel Dargis Inc. can take care of everything. Not only of construction management and the project but also the installation of the project with plans, specifications and estimates, act as general contractor or as a respondent to build your project. We offer business people a comprehensive A to Z 5 level program to build their projects.